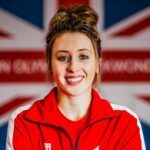 Scottish-born Rebecca started Taekwondo from a young age and has competed as a cadet since 2012. The teenager has built quite the name for herself in the sport and has medalled at a number of tournaments, including the Dutch Open – where gold was achieved in 2014 and 2015. 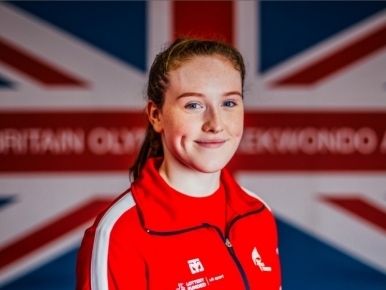 Since then, she was selected to represent Great Britain at the 2016 Junior World Championships where a bronze medal was achieved. I started Taekwondo when I was 6 because my friend did it. We’d fall out quite a lot so I decided I was going to be better than her at it. I did dancing, but it wasn’t boisterous enough so I stopped. 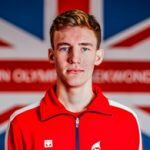 To go to the Olympics and achieve a gold. Also to win at the World Championships. I’ve always looked up to Bianca Walkden, she’s a really nice person as well as a great athlete. I’d probably want to go and spend it all, but I would buy a few houses and a range rover. I played the trombone for five years and could do the Eastenders theme.